Serving the Quinte, Prince Edward County, Trenton and Belleville area. Built on a reputation of excellence, BlackBird Stone and Tile offers top quality natural stone products, tile, hardwood floors and much more! Black Bird Stone and Tile in Trenton, Ontario, established in 2013 by Mark and Marlene Pelton, is family owned and operated. Built on a reputation of excellence, BlackBird Stone and Tile offers top quality natural stone products, tile, hardwood floors and much more! We are located in Trenton, Ontario just a 15 minute drive from Belleville and Prince Edward County. We are committed to providing superior installation and customer service. All Black Bird Stone and Tile employees, including fabrication, templating, installation and showroom staff, are experienced in providing industry leading products and customer service. When customers visit the showroom at Black Bird Stone and Tile, they are given individual attention. We have one of the largest indoor granite showrooms in the Quinte and Belleville region. 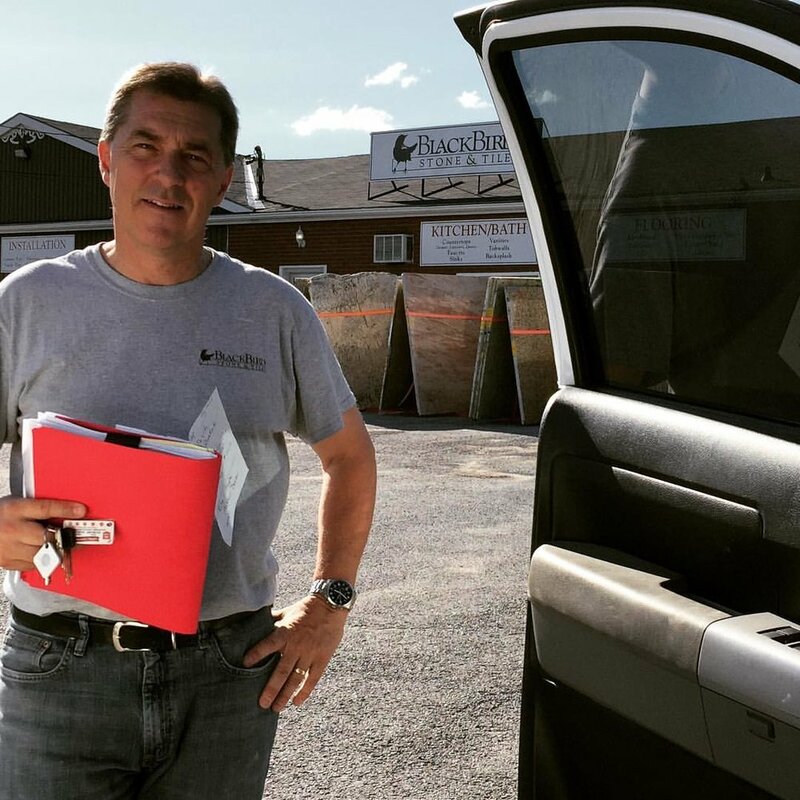 The knowledgeable staff at Black Bird Stone and Tile are highly qualified to assist customers in choosing the best stone product to meet their needs.